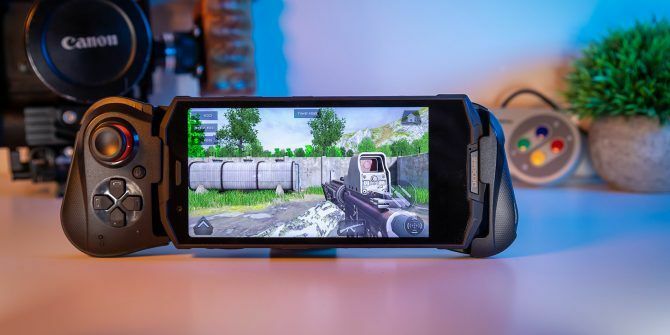 This is the Doogee S70: a rugged gaming phone, with optional G1 gamepad. Performance is good, but paired with the matching controller will really take your game up a level. Let’s take a look, and see if it’s any good. Don’t forget to enter our giveaway contest, where you can win a brand new S70 phone with G1 gamepad—it’s at the end of this review! The S70 shares similarities with many other Chinese smartphones. It has a 5.99 inch IPS LCD display with a resolution of 2160 x 1080 pixels. It sports the eight-core Helio P23 processor with Mali-G71 MP2 GPU, 64GB of storage, 6GB of RAM, Android 8.1. The construction is a combination of metal, plastic, and leather. Visually, it’s not much to look at. The 5500 mAh battery ensures the S70 has a significant heft to it, and measuring 6.76 x 3.18 x 0.53 inches it’s not the smallest phone around either. Charged over USB Type-C with the included 12V/2A charger, it takes 1 hour 40 minutes to charge. It shares similar styling with the Blackview BV5800 Pro. By their very nature, rugged phones don’t always look very pretty. The chunky body and protected ports help the S70 achieve the IP68/IP69K rating. This means it’s dustproof and waterproof at 1.5 meters for 24 hours. The rear of this phone contains the dual 12 + 5 MP cameras and the Sony sensor supports a maximum aperture of F/1.8. A maximum video resolution of 1080p at 30 FPS is underwhelming. This camera module is slightly raised away from the main body of the phone, as it also houses the fingerprint sensor. As it’s such a large phone, this sensor can be slightly tough to reach, but it’s not too difficult to use. You’ll find the usual power and volume buttons on the right, but on the left, you’ll also find a custom button. This can be configured to do anything you like (such as open the camera app), but by default, it puts the S70 into “gameboost mode”. The stops incoming calls and purges the RAM to free up space for games. It loads the gameboost menu, which lists any installed games. Available in a choice of three colors, the S70 costs $299. The Doogee G1 gamepad, an optional $50 purchase, is where things get really interesting. This gamepad is designed for the S70, although it will work with any phone. Connecting over Bluetooth, and expanding to gently cradle your device, the G1 turns the S70 into a giant controller, complete with joystick and triggers. The G1 has a built-in 400 mAh battery, and as it only draws between four and ten milliamps when in use, you can expect to achieve around 40 hours of play time. Annoyingly, the controller is charged through the included Micro-USB cable, so you’ll need to carry two cables with you, and you won’t be able to share power through the S70’s USB-C port. Before looking at gaming, let’s see how the S70 works as its primary function—a phone! The inclusion of Android 8.1 is an excellent choice. While Android 9 is the latest version, 8.1 is still a common operating system and offers great improvements over Android 7, which is starting to show its age. The fingerprint sensor works almost instantly, and the interface feels fast and responsive. Web pages load at lightning speed, and everything generally feels fast and snappy. Android runs underneath a very light Doogee skin, which adds aggressive memory monitoring, minor styling tweaks, and pre-installs several apps such as Octopus key mapping, which is essential for using the G1 gamepad. Moving on to the cameras, there’s nothing much to get excited about here. The cameras deliver average image quality. They can’t keep up with any flagship model, or even an older iPhone, but they aren’t terrible—for photos at least. Colors look great and the focus is fast with little to no hunting. While images look reasonable, they could still be improved. There’s a lack of contrast, and they can sometimes look washed out. You won’t be fooling anyone that these were taken with a DSLR. Image quality gets even worse for video. Not only are there no options at all for 4k (and here’s why you should shoot 4k video if you’re unsure) or slow motion, but the footage is recorded into the horrible and very dated .3GP format. Videos are even less sharp than the photos, and suffer many of the problems impacting photos, only much worse. The dual lenses enable you to achieve a variety of portrait modes, but there’s nothing special here considering you can enable portrait mode on any Android phone How to Get Portrait Mode on Android How to Get Portrait Mode on Android Want to use Portrait Mode on your Android device? Here's what Portrait Mode does, how to use the built-in features, and the best apps with Portrait Mode. Read More . The chunky design, thick rubber corner protectors and metal edges keep it safe from harm. Fourth generation Gorilla Glass keeps the screen safe, and the raised rubber sides help to lessen any impact on the screen itself. There’s no need to purchase a dedicated case, as the S70 is able to keep itself safe. Heavy knocks, kicks, drops, and thumps all do little to damage this phone. The S70 is IP68 rated. It achieves this through the use of two rubber covers protecting the sim card slot and USB Type-C input. Throw it about in water without these covers in place, and you’re going to have a bad time. The IP68 rating means it can endure harsh dusty conditions and is waterproof down to 1.5 meters. However, be aware that this rating only applies to fresh water. Any other kind of liquid may cause damage. If you’re sensible (or even a little bit clumsy), you’ll have no problems here. The odd splash, quick dunking, or shower won’t do any harm. Go swimming, or chuck it into harsh liquids, and you will notice liquid-related problems start to happen. The G1 gamepad makes gaming far more enjoyable, and it works with any phone! Two spring-loaded grips expand to accommodate a huge variety of phones, and as the S70 is so massive, you’re unlikely to find a phone too big to fit. On the left, you’ll find a clickable joystick, d-pad and power button, along with the status light. Both the left and right feature a rear trigger, and the left side features a second “bump” trigger. None of these triggers are pressure sensitive. 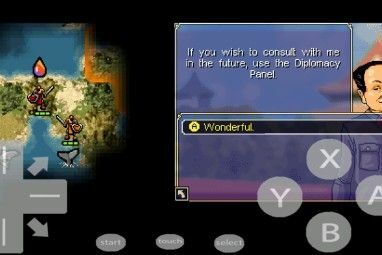 Once connected over Bluetooth, you can use the preinstalled Octopus app to remap any game control to the controller inputs. Constructed from sturdy plastic, the G1 sports a QR code on the back for quick connection. While the S70 feels extremely tough, the G1 gamepad is made from plastic, is not waterproof, and certainly won’t handle a big impact like the S70. The G1 gamepad is available separately for $49, but you could just connect a PS3 controller to Android How to Connect a PS3 Controller to Your Android Phone or Tablet How to Connect a PS3 Controller to Your Android Phone or Tablet If you have an old PS3 controller laying around, connect it to your Android phone or tablet for an awesome mobile gaming experience. Read More instead if you have one lying around. Despite having an old (but still capable) processor, the S70 can keep up with most demanding games. This is thanks in part to the Mali-G71 GPU. PUBG mobile runs very smoothly, as do older games such as Dead Trigger 2, and simpler games such as temple run. We would have tested Fortnite, but at the time of writing it was still invite-only on Android—check out our guide to sideloading Fortnite safely How to Safely Install Fortnite on Android: A Quick Sideloading Guide How to Safely Install Fortnite on Android: A Quick Sideloading Guide Here's how to safely install Fortnite on Android, and what security precautions you should take. Read More once it’s open to all. The aggressive memory management helps performance, managed by the gameboost mode. You’re unlikely to find many games to really tax it though. Despite being sold as a gaming phone, it’s not really that special. Yes, it’s good, but most high-end smartphones can run games just fine. The gameboost mode is nice, but that’s just a software tweak. It may not be the prettiest phone or even the lightest, but it’s surprisingly good! Despite having a rather average processor, the S70 has a vast amount of RAM, and an outstanding screen, a generous battery, quick charging, and a reasonably modern Android version. The G1 gamepad is an excellent device, and as it works over Bluetooth, you don’t have to buy the S70 to use it—it will work with your existing phone. Being a Chinese phone, there are still a few niggles you may want to consider. The minor UI changes may not be to everyone’s taste, and weird Chinese messages occasionally appeared. It’s big, and it’s heavy. It’s a bit boring design as well. Still, if you can live with these downsides, the S70 represents an excellent alternative to the multitude of notch-sporting Android phones. A great all-rounder (but really designed for gaming), the S70 is a great phone! 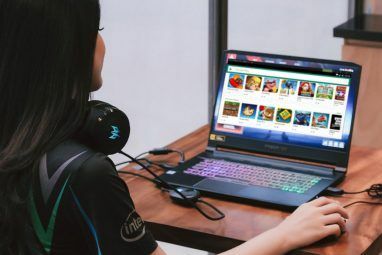 Thanks to Doogee, we’ve got a brand new S70 phone and G1 gamepad to giveaway! All you have to do is enter our giveaway contest below. Explore more about: Game Controller, MakeUseOf Giveaway, Mobile Gaming, Rugged. Seems great, especially (with) the gamepad! It's unfortunate how they haven't, for example, only included one most-basic camera (for scanning QR codes) and then upgraded something else; & dropped the price for about $100. Xiaomi Mi A2 6GB RAM/ 128GB variant is out (somewhere in the world) and it's going to cost around $270 and it has a *much* better processor/graphics and uses Android One. what does the app mean "no throwaway twitter accounts are allowed"?